I don't normally collect anything that came after the Classic Heavyweight but do like the box. 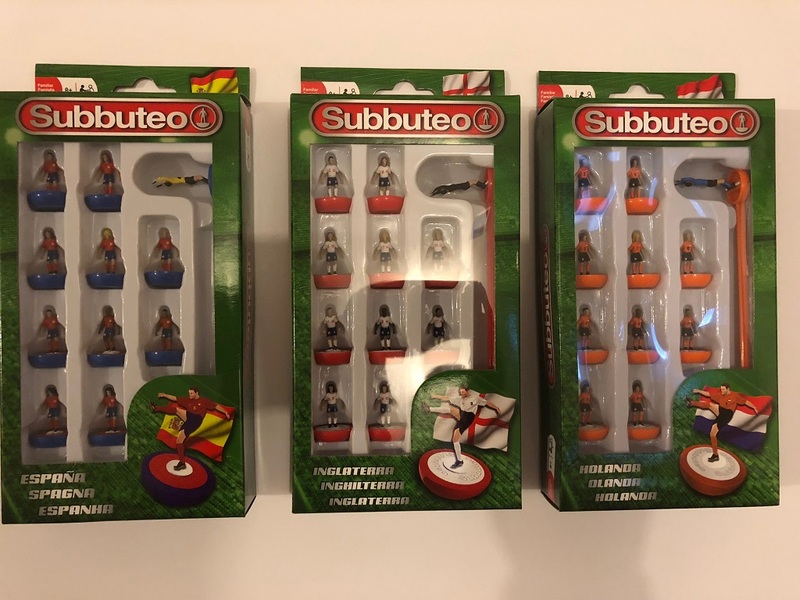 Given that we are now only 2 days away from the World Cup, where are these sets available to buy or is it being marketed like the recent Women's Football set? They will be available through We Are Games, a Spanish company. 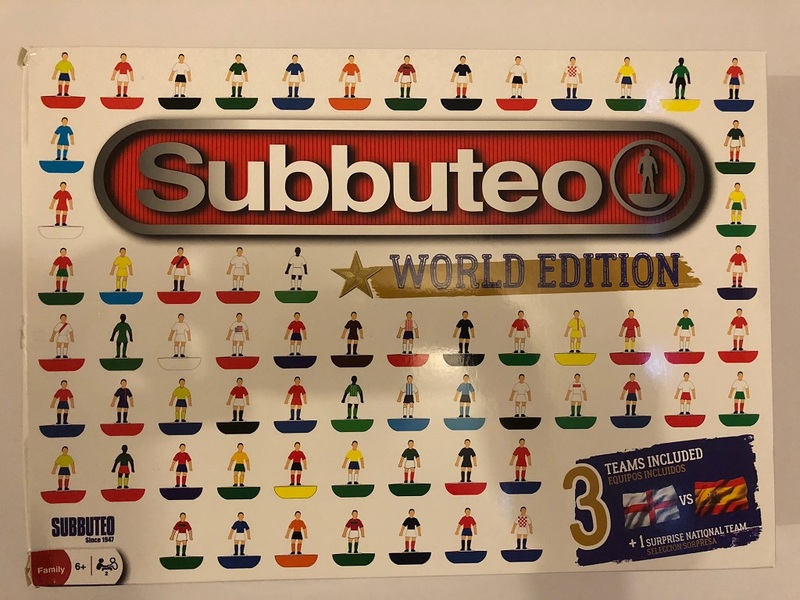 I am sure the set will also be available in the UK through Subbuteo World. 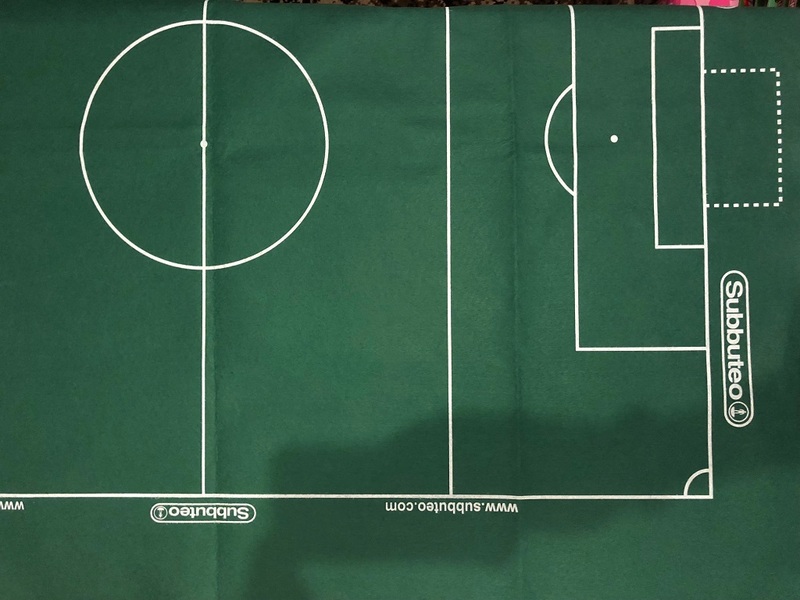 I just found the Subbuteo World Edition advertised on Amazon. I hope that they have just made an error in their Euro to £ conversion because I can't see many opting for this. I will stick to my HW figures where I can still get good value for £3000. It's now showing as costing £30.54 plus £14.60 delivery. 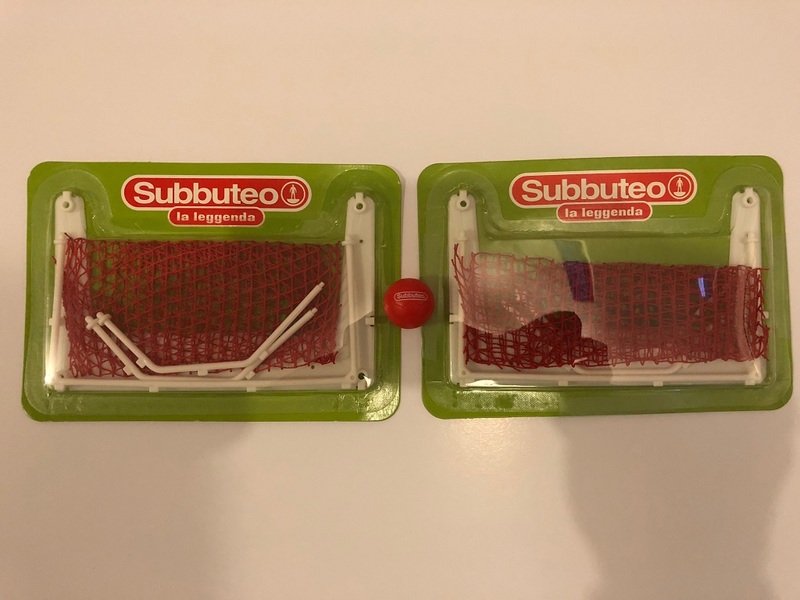 I bought one of the new World Cup Edition sets, but I have to say I am a bit disappointed with it, as there is nothing new in there. Here are some photos (apologies for the poor quality), so as to make your own mind up. 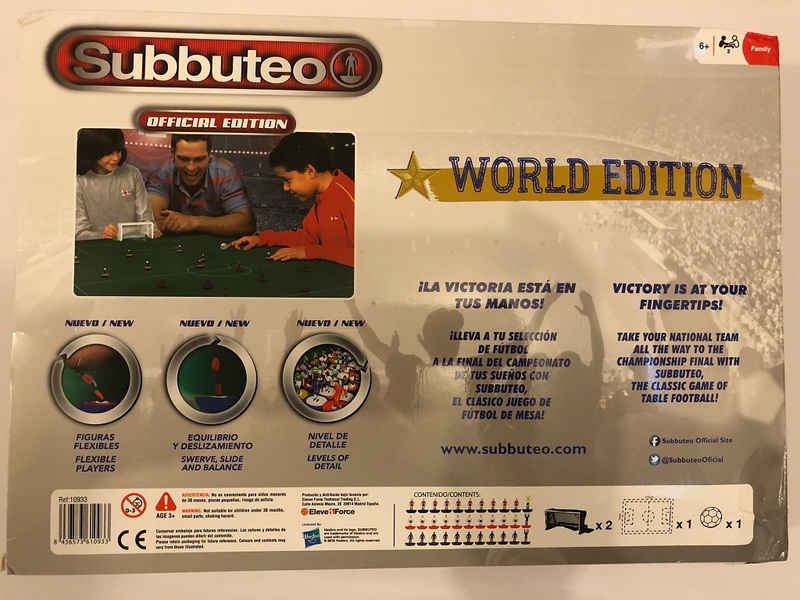 Already available versions of Spain, England and Holland (the surprise team, which, surprise surprise, have not qualified for the finals tournament ). Also, these kits are not those worn by the teams at the tournament, as they have been available for at least a year. The goals were given as extras with the teams of the La Leggenda series and as fas as the ball is concerned, only one was included. Just a part of it was photographed and surprisingly it seems to be of a very good quality. 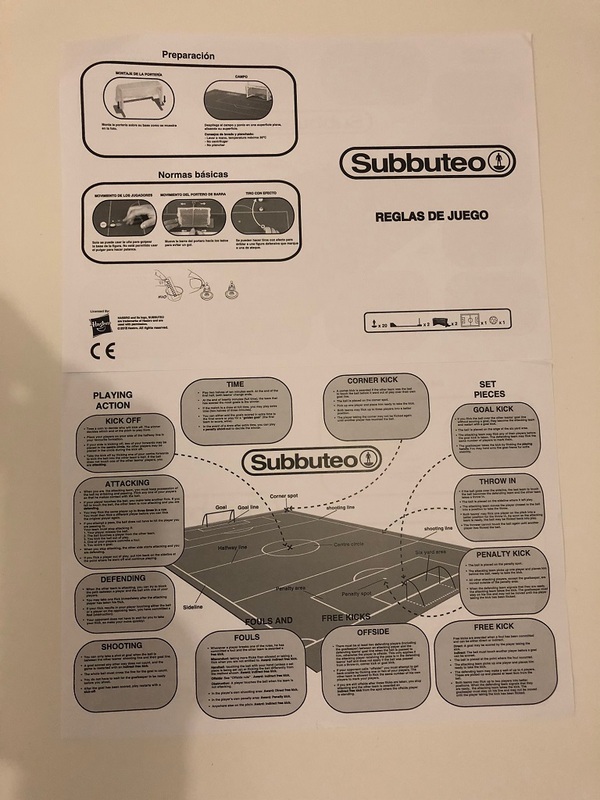 Just a two sided leaflet with English instructions on the one side and Spanish on the other. Hi are the only licensed Itslian teams Juventus and Milan also there is mention on this topic of 2 licensed juventus but cannot find proof of that ?